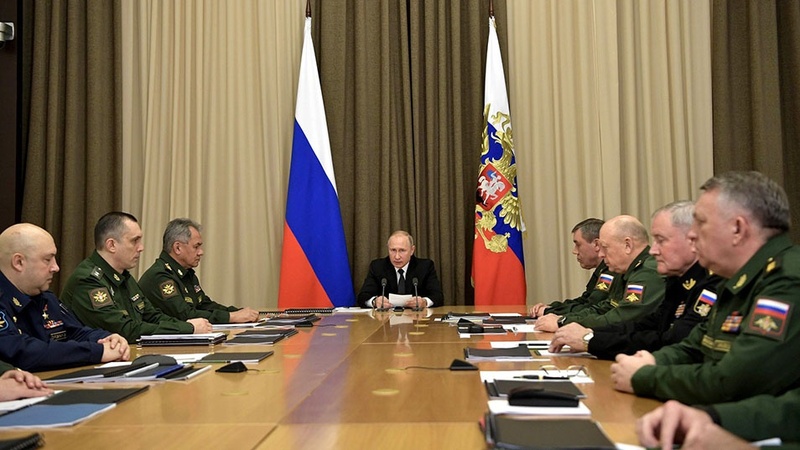 Culture | Putin Says Russia Suspends INF Nuclear Deal With U.S.
Russia has suspended the Cold War-era Intermediate-range Nuclear Forces Treaty after a similar move by the United States, President Vladimir Putin said on Saturday. The United States announced on Friday it will withdraw from the INF treaty with Russia in six months unless Moscow ends what it says are violations of the landmark 1987 arms control pact. Putin said Russia will start work on creating new missiles, including hypersonic ones, and told ministers not to initiate disarmament talks with Washington. “We have repeatedly, during a number of years, and constantly raised a question about substantiative talks on the disarmament issue, notably, on all the aspects,” Putin said. During the meeting, Russian Foreign Minister Sergei Lavrov also accused the United States of violating the INF and other arms deals, such as the non-proliferation treaty. Putin said that Russia will not increase its military budget for the new weapons and it won’t deploy its weapons in Europe and other regions unless the United States does so.